If like so many people around the world you have never really been able to find your head voice, this article will talk a little bit about the quickest way into your head voice without the cracks and the breaks. In layman’s terms, this article will aim to help you find your head voice so you can begin to expand your range. As you build up what is called your pharyngeal resonator, this technique will allow you to sing with more vocal freedom as you slide in between your head and chest registers. You’ll also begin to learn how to blend your head voice with your chest voice so they mix well into one. As you begin improving your head voice, you will begin experiencing a much more polished, professional sounding voice as you reach higher up in your vocal register, without straining or causing tension to your vocal cords. So what is this best kept secret, I hear you ask? Let’s begin by understanding the causes of this seemingly insurmountable problem, before we look at ways to resolve them. The common tendency with a lot of people is to pull up their chest voice, which basically means shouting your way to your upper register. Ideally, you want to get into your head voice with that girth that projects a fuller voice. And the best way in is through your mix voice. Guys have a broader range of chest voice and a shorter range of head voice, whereas girls have a shorter range of chest voice and a broader range of head voice. Girls generally find it easier to find their head voice than guys, although both genders do have a certain amount of difficulty. So let’s take a much closer look at how to get into your head voice. The pharyngeal sound is very beneficial for a lot of things, especially for discovering and getting into your head voice. The “NG” sound helps you keep your vocal cords together, the opposite of which is when they blow apart and you disconnect into falsetto. So here’s what you need to do. Breathe in to ensure you have sufficient breath to hold a note, and then begin the extended ascending slide “NG” sound which will seamlessly connect you to your head voice; and then open out to an “AA” vowel at the top of your range whilst you continue to hold that note. You’ll realize that the “NG” sound helps you get into your head voice without the cracks and the breaks. I do hope that these handy tips have given you additional training to add to your daily vocal training routine. 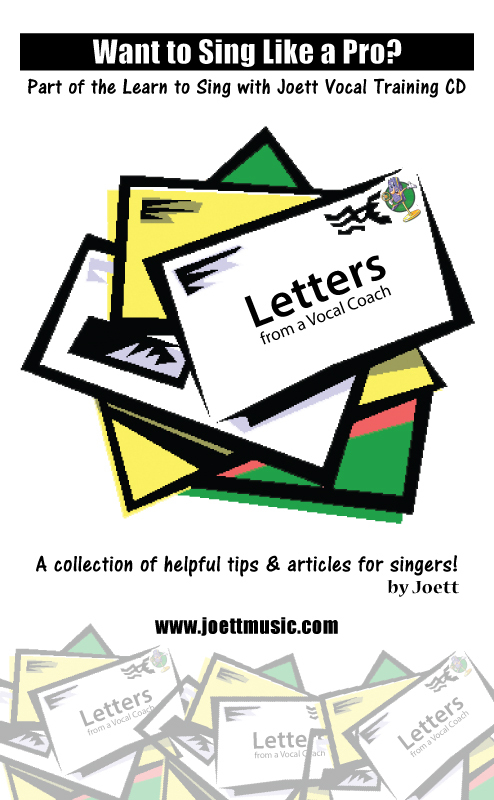 Feel free to download vocal training exercises from my blog here! 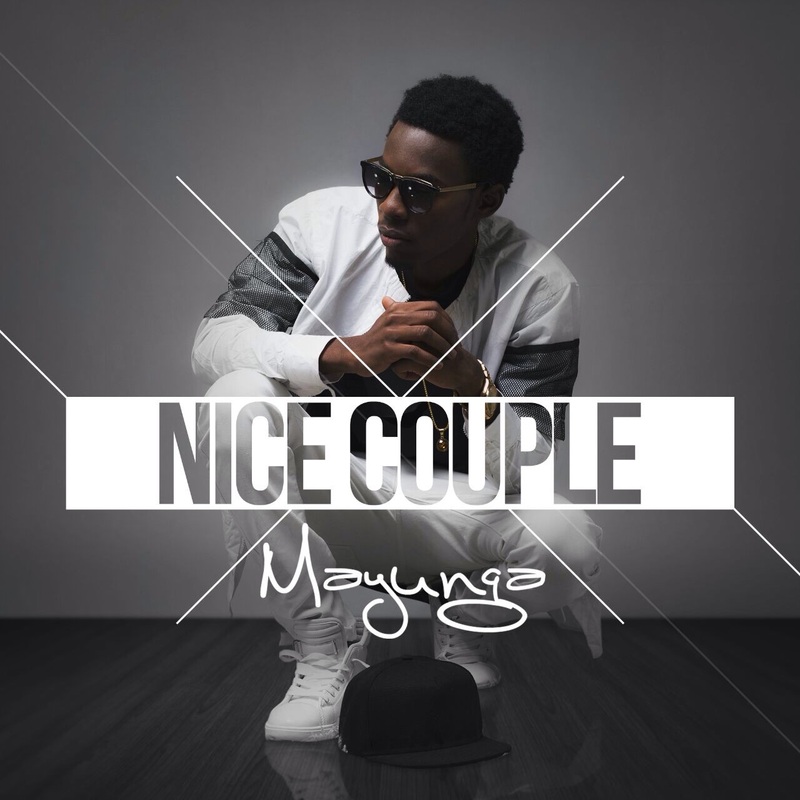 MAYUNGA NALIMI DEBUTS HIS ‘NICE COUPLE’ MUSIC VIDEO AND EPK ON TRACE URBAN ON 31 JULY 2015! 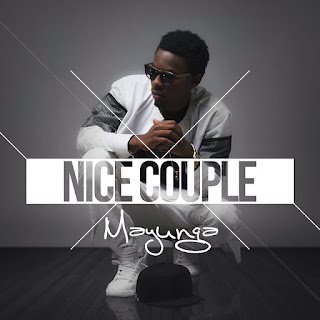 Airtel TRACE Music Star 2015 winner Mayunga Nalimi releases the music video for his breakout single “Nice Couple”, set to air on TRACE Urban DStv 325 on 31 July 2015. Earlier this month, TRACE Music Star winner Mayunga Nalimi touched down in Johannesburg from his native country of Tanzania to embark on the new beginnings of a promising musical career since reigning supreme in Africa’s biggest ever talent search competition on 18 April 2015. Crowned by international megastar Akon and awarded with a grand prize that includes a record deal with Universal Music, Mayunga hit the ground running during his SA visit with a full-on music video production for his latest single “Nice Couple”, which was shot in Orlando East, “Nice Couple” is available for download on iTunes in 107 territories worldwide, as well as other online music sharing sites like Deezer, Beatport and Vevo. TRACE is a leading urban and black entertainment group with activities in 180 countries. TRACE is a signature hub for black and urban entertainment content and offers TV channels, FM radios, mobile services, events etc. to millennial and young adults audiences. 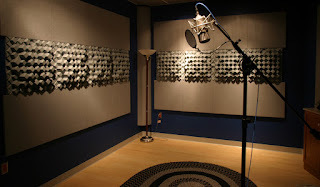 If you have only done your studio recording sessions on a whim, running to the studio to listen to a beat that may tickle your fancy, and perhaps scribbling down some lyrics and jumping into the booth to record your vocals, then you will be amazed to discover that that isn’t how the professionals work. It takes a heck of a lot more to produce a record. This article will offer tips on how to first prepare the voice—your very own God given instrument needs to be readied to do the job—and what to look out for in a recording studio that will ensure you deliver a good vocal. The more I hear stories about how people rush to studios unprepared, the more I want to reach out and help them understand the importance of getting well prepared. You’re going to be surprised how much more powerful and effective your vocal delivery will be when you do. So let’s begin. There are numerous ways to compose a song. Your song can begin as an idea for a melody, for example, that develops into an entire song over time, with careful crafting. In this type of scenario, once you have what you want, you can begin to develop piano, acoustic guitar cords, or the beat to the song with the help of a fellow musician, if you’re not an instrumentalist yourself. The other way to craft a song, and this is probably the most common nowadays, is to get a producer to create a beat and then you would write the lyrics to it over time. I’ve repeated the words ‘over time’ for a reason. Don’t rush! Take your time to create something beautiful. The better the composition, the longer the shelf life of your song! Good songs last forever. Now let’s discuss preparing the voice, because this after all is the purpose of this article. Nothing defeats the object more than relying on auto tune to fix your vocal flaws. Because it’s so demeaning, and you cannot reproduce that on a live set! So aim for being able to do a great job in the studio yourself, trust me, you’ll be proud of yourself for it. When you train your voice with the scales before you write the song, your ability to write a song automatically does a quantum leap from mediocre to pro because of it, for the simple reason that your voice knows a whole lot more—and that allows you to create something with a much broader vocal range. And here’s what you need to look out for in a recording studio. When you have your headsets on, make sure you can hear your own voice properly. If you cannot hear what you’re doing, it will be at the expense of your vocal delivery. So have the producer set it up for you, and tweak it to perfection till you’re absolutely satisfied. If you’re the kind of person that desires vocal perfection but didn’t quite know how to go about achieving that, you can download free vocal exercises from my blog here. If you’re a little nervous or unsure of how best to prepare for an audition in order to succeed through the selection process, this article will give you tips on how to let go of your inhibitions and to train and prepare your voice for your singing audition in the right frame of mind and confidence to get the job done. The more you train, the more confident you’ll become and the better your chances of making the grade through auditions. And the same applies with preparing for a studio recording session, but I won’t be delving into that now. I will devote a full article on this topic in my next installment—next week. Let’s assume you’ve never had proper voice training before. Well, there’s no better time than now to get started on a voice training program to help develop your vocal range. Ideally, I would recommend ten hours training, one hour a day spread over ten days, just doing the scales. That is the bare minimum your voice will need in preparation alone before you audition. And the best way to go about this is to begin your vocal training sessions with a breathing exercise before you move on to the vocal exercises. Once your vocals are all warmed up and tuned up, begin rehearsing the song you want to sing in the audition. You will be amazed how each time your vocals soar through the song with better pitch, range and vocal agility than in the previous session. 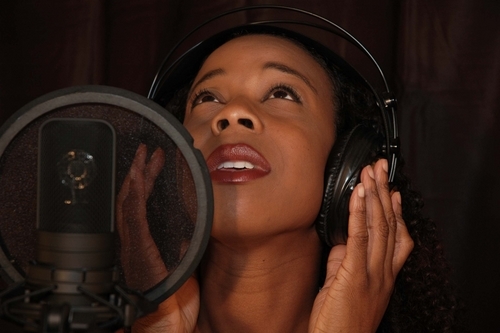 That’s how powerful specific vocal exercises are for singers. And on the day of the audition, make sure you’ve warmed up your voice with a good one hour session at home, rehearsed the song you’re going to sing, and then keep your mouth shut. Yes, the last thing you want to do is to tax your voice to the very last minute. Give your voice a rest. It will come through for you in the end. So I’m sure at this point you’re all eager to know what vocal exercises are the best to get started with. Well, let me tell you this. Ideally, you really need a combination of exercises to get you where you want to be as a singer. Even if you repeated arpeggios, for example, but changed the vowels each run; or if you also did the lip rolls and tongue trills on the same arpeggios. As to what you can do in terms of combinations, the sky truly is the limit. I’ve uploaded warm-up, arpeggios, chromatic and descending scales from my Learn to Sing with Joett Vocal Training CD Booster Program to Hulkshare. JStorm in training with Joett. 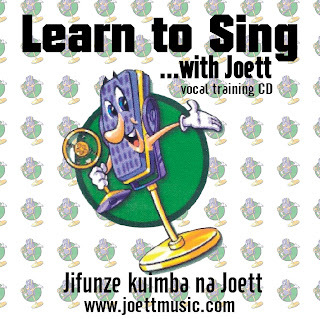 Check out Joett Vocal Training Product Review for Home Learning here, and connect with me on WhatsApp (details in video) for tips and advice to help you get started with learning to sing. Annette in training with Joett. 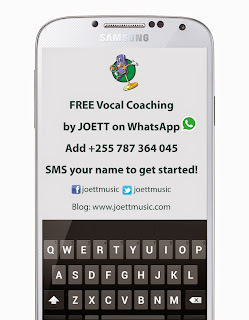 Check out Joett Vocal Training Product Review for Home Learning here, and connect with me on WhatsApp (details in video) for tips and advice to help you get started with learning to sing. Rahym in training with Joett. Check out Joett Vocal Training Product Review for Home Learning here, and connect with me on WhatsApp (details in video) for tips and advice to help you get started with learning to sing. In my third installment, we’re still correcting common singing mistakes. Today I want to talk about the Raised Larynx. If you’ve been wondering how to stop your larynx from raising and interfering with your singing, not to mention, causing you so much strain and pain, in this article you will learn about proper larynx placement. When you’re not paying attention, it is very easy to allow the larynx to rise when you’re trying to hit the high notes. And this is why vocal exercises are so good. If you can get it right in training that will automatically translate to singing. I am a creature of habit. And so I’ll tell you this for nothing. If you train long enough and often enough, the training will cancel out your tendency to allow the larynx to rise when you scale the high notes. Because training helps you form a new habit. And that’s really all there is to it. Pick up the good singing habits and you’re set for life. When you’re larynx rises, what is actually happening is your throat is closing in and you’re squeezing your tone. Sounds garbage, at best. That’s why people go flat when that happens. That being said, you don’t want your larynx super low either. The ideal situation is to have a steady larynx. Exercises like the lip roll can help you keep the larynx low, and allow you to scale high notes without recruiting your outer larynx muscles in the production of sound. It keeps it steady and not squeezed. If you want to try out the lip roll with arpeggios, descending and chromatic scales, download free mp3 piano scales from my Learn to Sing with Joett Vocal Training Booster Program. Check out my Hulkshare page here! 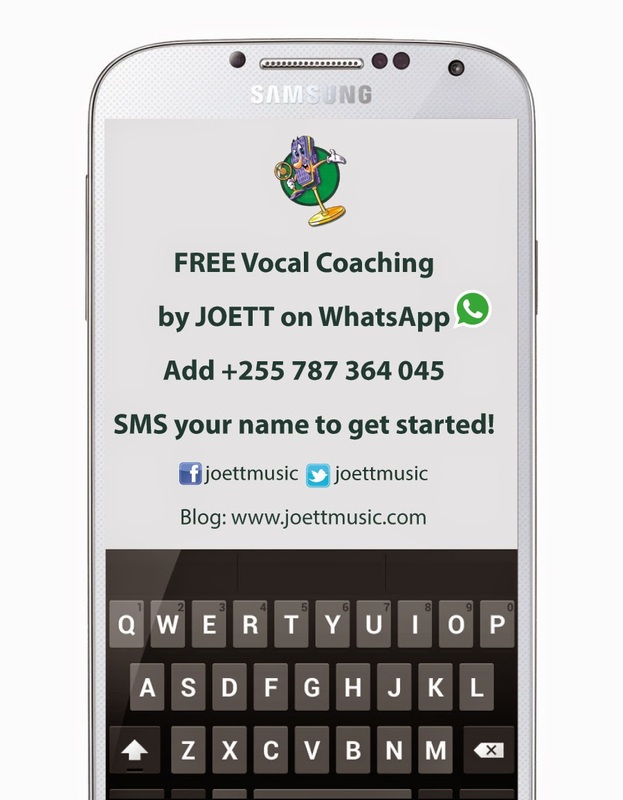 If you're on WhatsApp and want to learn from home but would like to have ONE private lesson in my studio, I've opened this up to give you the extra help you need to get you started with learning to sing from home with my FREE online support via WhatsApp. In the session, I will run you through a full hour of vocal exercises to help you understand HOW to do the scales correctly. This will also enable me to understand and to analyze your voice so as to tailor the best way to apply these exercises to help you develop your voice. The last thing you want is to do the exercises incorrectly and to NOT benefit from them. A private session with me will ensure that you get it right from the get-go. to Sing with Joett Booster Program CD which I will show you how to use and you will take home with you. I would like to see as many people as possible get the training, even when finance is an issue. I believe the concession I'm offering will bring the training to the people more abundantly. I know it's tough to go it alone, and I also know from experience that a private session, albeit ONLY for one hour, can make a world of difference and give you the fundamentals to getting started with your vocal training home learning program correctly. My fee for the single lesson is $20 and it should be paid upfront via Tigo Pesa +255 655 364 045 (Joett Limited) prior to the session. Please contact me for more information and to book your place. In my second installment on correcting the top 5 singing mistakes, I want to talk about Vocal Cord Closure. When you don’t have good compression on your vocal cords, it leads to all kinds of problems, specifically the cracks and breaks in your voice as you make the transition from your lower to upper register… like flipping into falsetto when you don’t want to. The voice has a defense mechanism, in that, when it’s getting to be too much and your vocals don’t want to take all that strain, the vocal cords will split up so that you automatically flip into falsetto—an airy high note to help cushion the tension. Falsetto is only good for special effect, to embellish a song in a certain way. It works beautifully when done in good taste, and you’ll know when it doesn’t sound right when you’re simply applying it to cover up for your lack of range when trying to hit a certain high note. So ideally, you want to sing correctly but have good vocal closure. So how do you go about this? Let me start by explaining the difference between falsetto and head voice. Flipping into falsetto—not only in your high notes but also in your mid range or transition area too—is a big part of what happens when you don’t have good vocal closure. In essence, head voice has plenty of grip, or cord closure. A lot of people have trouble distinguishing the two. But what happens with cord closure is that you have a nice sound. One way to correct that is to apply the pharyngeal resonator “NG” sound (which I covered in Part 1—if you haven’t read it you can now read the article on my blog at joettmusic.com). Ideally, you want to convert air to sound as quickly as possible, and so the good consonants to use in training with ANY scale, be they arpeggios, descending scales, chromatic scales, octaves and so forth, are the “GOO” or the “BAH” (the latter is where your lips help your vocal cords get a good grip right at the onset). And you can go right ahead and try out some of these quick-fix exercises by simply downloading piano scales to work with from my free Learn to Sing with Joett MP3s uploaded to my HulkShare page here. Need Private Singing Lessons? Click Here!